Daily Current Affairs (July 17, 2018) like many other sections is inevitable and this also helps to score in the Banking awareness , Static GK and Financial Awareness sections. Remember, Banking Awareness and Static Awareness Questions are asked from the General Awareness section. This will also help you to ride your preparations for the forthcoming exams. 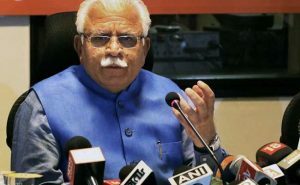 The Haryana Chief Minister Manohar Lal Khattar has launched the ‘Paudhagiri’ campaign, aimed at increasing the green cover in the state. Under this campaign, 22 lakh students from class 6 to 12 of all government and private schools in Haryana will plant a sapling each during three months of monsoon — July, August and September. Each student will be given an incentive of Rs. 50 in every six months from the government. The chief minister launched the ‘Paudhagiri’ campaign by planting a ‘maulsari’ sapling in the Tau Devi Lal Sports Complex premises of Gurgaon. India’s indigenously developed surface-to-surface supersonic cruise missile BrahMos was successfully test-fired from the Chandipur Test Range off the Odisha coast. 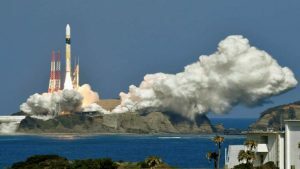 The test aims to increase the longevity of the missile’s life. 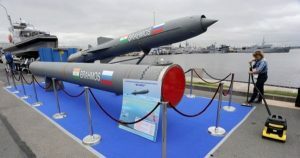 The missile, developed with the help of Russia, has a 290-km target efficiency, which is going to be extended upto 400 kilometres. BrahMos is the first Indian missile whose life has been extended from 10 to 15 years. BrahMos Aerospace is a joint venture between India’s Defence Research and Development Organisation and Russia’s NPO Mashinostroyeniya (NPOM). It is named after two rivers – India’s Brahmaputra and Russia’s Moskva.. The collaboration is responsible for the design, development and production of the missile. 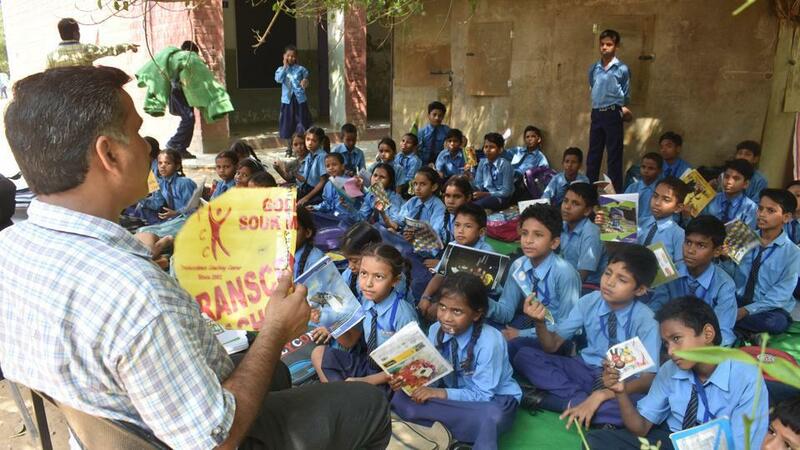 The Haryana Education Department has launched ”I am not afraid of English’‘ initiative to promote English language right from Class 1 in the state’s primary schools. The initiative is aimed at capacity building of teachers to enable them to help the students to learn, read, write and speak English. Nearly six language labs have been established in selected model Sanskriti schools in the state to facilitate digital learning and improve listening and speaking skills of the students. Bihar will provide the cheapest drinking water in the world. The total cost of installing this project would cost around Rs 20 lakhs. 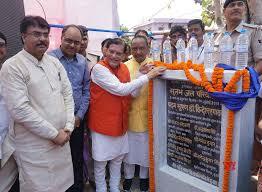 The first of such a water project was launched in Bihar’s Darbhanga district by Sulabh International, an organisation that introduced the concept of ‘Sulabh Sauchalya’ in the country. With the help of this project, the people will easily be able to get pure and clean water only in 50 paise/litre. The ‘Sulabh Jal’ project converts contaminated pond and river water into safe drinking water. This project was earlier introduced in three districts of West Bengal – North 24 Parganas, Murshidabad and Nadia, three years ago by Sulabh International and French organisation. The Union Minister of Commerce & Industry and Civil Aviation, Suresh Prabhu, has co-chaired 8th session of India-Oman Joint Commission Meeting (JCM) along with Minister of Industry, Investment, Trade and Digital Economy of Oman, Dr. Ali bin Masoud Al Sunaidy. The Government of India has launched several investment friendly programmes like ‘Make in India’ with a trillion dollar business opportunity in the country. 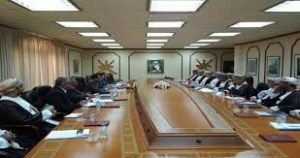 The areas of discussion in the JCM include cooperation in space, renewable energy, start-up, SMEs, food security, including durable foods and packaging, services sector,tourism sector, exchange of ideas and visit of young entrepreneurs. China plans to launch 300 low-orbit satellites to provide worldwide communication services. It is known as the Hongyan constellation, the first in the 300-satellite array, is set to be launched by the end of this year. The constellation will be built in three stages. China Aerospace Science and Technology Corporation announced that once completed, the satellite communication network will take the place of the ground-based network and allow a mobile phone to be connected everywhere on the planet, either in a remote desert or at sea. China is already developing BeiDou Navigation Satellite System (BDS) to rival America’s Global Positioning System, (GPS). Peru has declared a 60-day state of emergency on its border with Colombia in order to guarantee security in a region rife with drug trafficking. 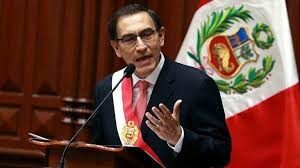 The President of Peru Martin Vizcarra announced that the decision was taken as there are security problems created by Colombian citizens crossing the border and there was a need to reestablish the state’s presence. The region in which the state of emergency has been declared is the Amazon basin province of Putumayo, separated from Colombia by the river of the same name, a tributary of the Amazon. Life Insurance Corporation of India’s (LIC’s) board has approved acquiring up to 51 per cent stake in state-run IDBI Bank. It was announced by Economic Affairs Secretary Subhash Chandra Garg. Now LIC will approach markets regulator Sebi. Insurance regulator Irdai has already given its approval to the insurer for the stake purchase. 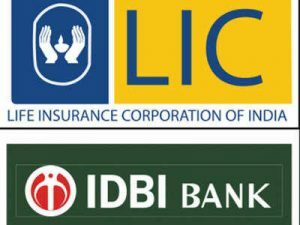 Till end of June 2018, LIC owned about 8 percent of IDBI Bank.The move of buying additional stakes by LIC is expected to help IDBI, the debt-ridden state-owned bank, to get a capital support of Rs 100-130 billion. The Flipkart-owned digital payments start-up PhonePe has bought the point-of-sale (PoS) business of Zopper, a hyperlocal mobile marketplace for small and medium-sized businesses. As part of the deal, Zopper founder and chief executive officer Neeraj Jain will join PhonePe, heading its offline merchants business. The State Bank of India and National Bank for Agriculture and Rural Development have joined hands to provide collateral-free credit through Joint Liability Groups in Telangana. The two signed an MoU, along with seven NGOs from Nizamabad, Medak and Warangal districts, for the promotion and credit linkage of 2,000 JLGs during the current year. The agreement was signed by Swaminathan J, CGM, SBI, and P Radhakrishnan, CGM, Nabard. According to OECD ,India’s economic growth is poised to rise to 7.4% in 2018 and 7.5% in 2019 as the economy has been able to navigate through growth obstacles due to demonetisation and impact of GST rollout. 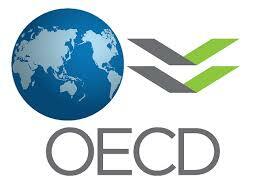 It was announced by the Organisation for Economic and Development (OECD). China’s GDP growth is projected to moderate to 6.7% in 2018 and to 6.4% in 2019. The International Monetary Fund (IMF) has projected a growth rate of 7.3% in 2018 and 7.5% in 2019 for India as against 6.7% in 2017, making it the fastest growing country among major economies. The latest growth rate projection for India is slightly less, 0.1 percentage point in 2018 and 0.3 percentage points in 2019 than its April projections. 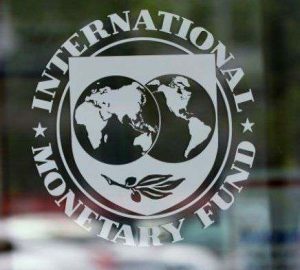 The IMF also said that global growth is projected to reach 3.9% in 2018 and 2019. The Bhushan Steel Ltd, acquired by Tata Steel Ltd has approved the appointment of T.V. 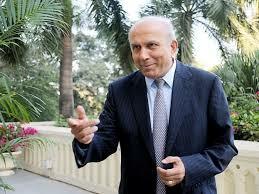 Narendran as chairman and non-executive additional director of the company. Narendran, CEO and MD of Tata Steel, has more than 30 years of experience in metal and mining industry. Koushik Chatterjee too has been appointed as non-executive additional director. 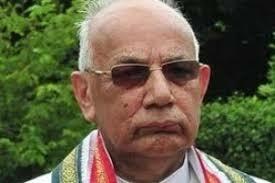 Haryana Governor Kaptan Singh Solanki was given the additional charge of Himachal Pradesh by President Ram Nath Kovind. 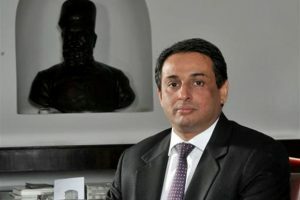 He would discharge the functions of the Governor of Himachal Pradesh during the absence of Himachal Governor Acharya Devvrat, who is on leave. Times NOW, India’s leading English news channel from the Times Network and ICICI Bank hosted the 5th edition of NRI of the Year Awards 2018 in Mumbai. Sunil Chhetri, Indian football team Captain was presented with the prestigious Global Indian Icon and Prem Watsa, Founder, Chairman and Chief Executive of Fairfax Financial Holdings was conferred with the Special Jury NRI of the Year Award. The NRI of the Year Awards salute the spirit of global Indians who have been an inspiration and made a mark for themselves worldwide. 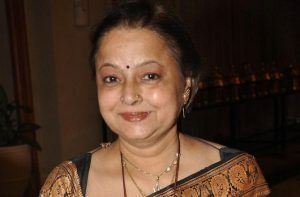 The Veteran actor Rita Bhaduri has passed away. Rita has worked in over 20 TV shows, including Sarabhai Vs Sarabhai, Kumkum and Amanat. The Noted Kannada poet and film lyricist M.N. Vyasa Rao passed away. The songs he wrote for the film — “Suryangu chandrangu bandare munisu” and “Nakondla Naku” — remain classics even today. 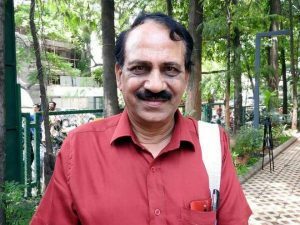 He was also a recipient of Karnataka Rajya Sahitya Academy award for his short story collection “Maleyalli Neneda Maragalu”.